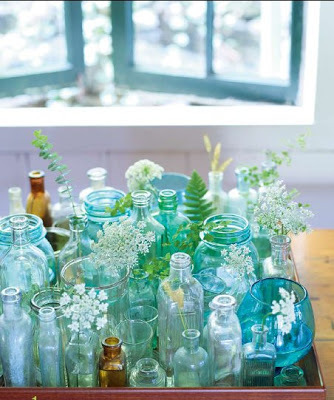 Love this grouping of blue vintage jars and vases on a tray–it reminds me of the ocean. Did you get the new Pottery Barn catalog? They have a new collection of blue glass bottles and jars. The post Blue Jars and Vases appeared first on Darling Darleen | A Lifestyle Design Blog .